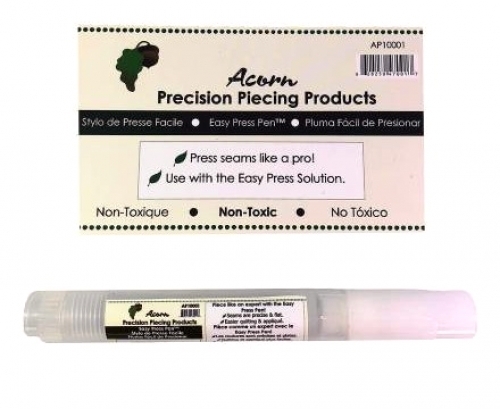 Designed by Shelley and Bernie Tobisch, this highly-effective, easy-to-use pen makes it easy to create accurate, flat seams every time you quilt! Use this pen in conjunction with the Easy Press Solution (item - 3909EP). Seams are precise and flat. Easier quilting and applique. Use with the Easy Press Solution. This formula is non-toxic.